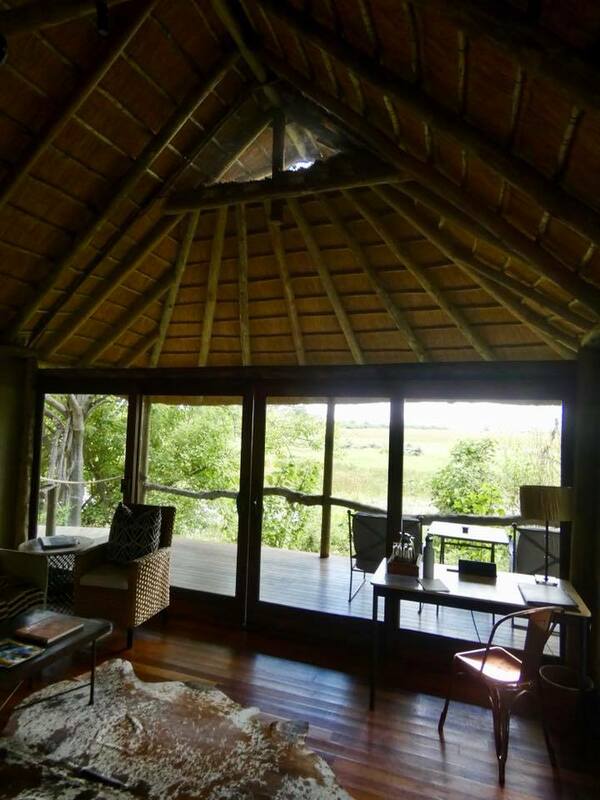 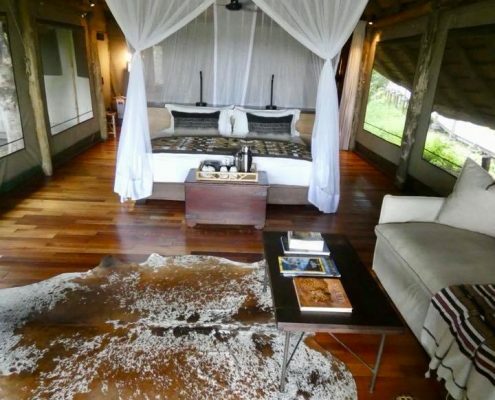 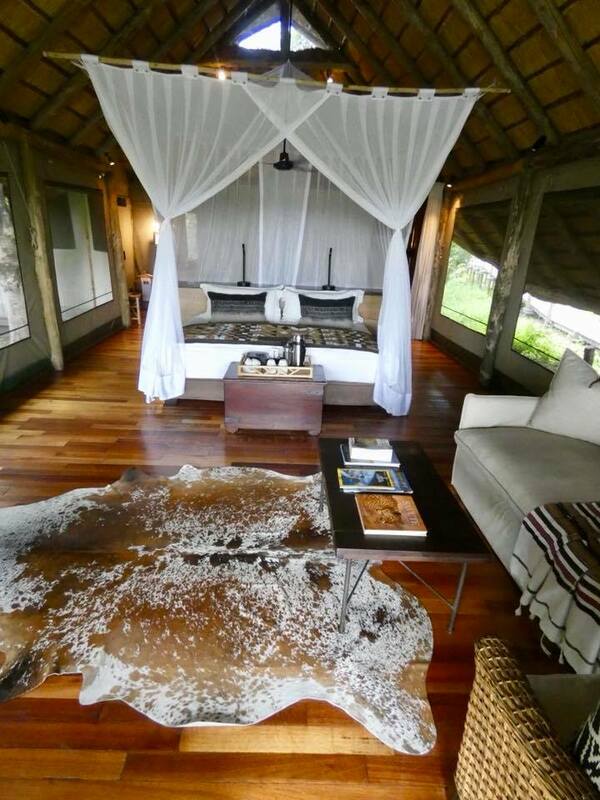 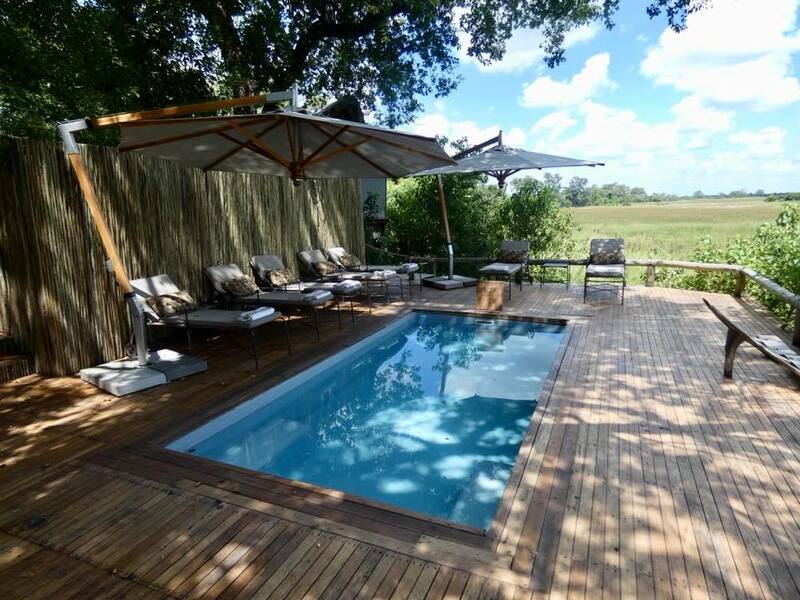 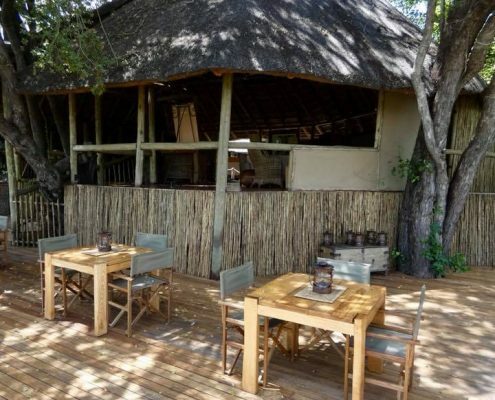 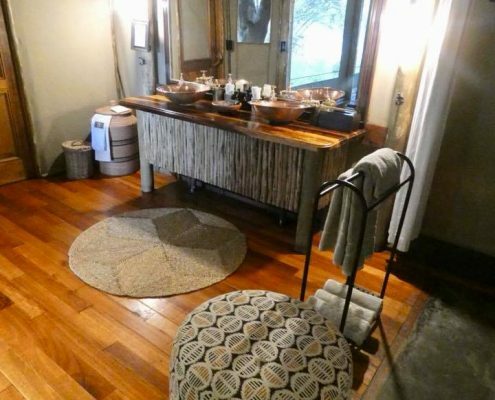 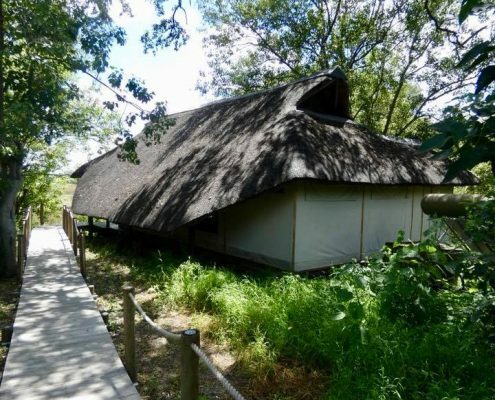 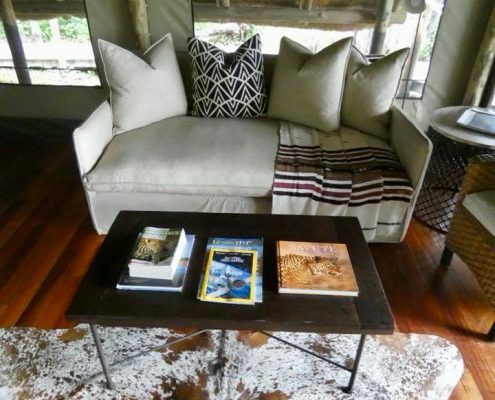 The Savuti safari tented camp lies in the heart of the Linyanti Preserve and on the Savuti Channel and is one of the most exclusive places to experience the wildlife and absolute wilderness. 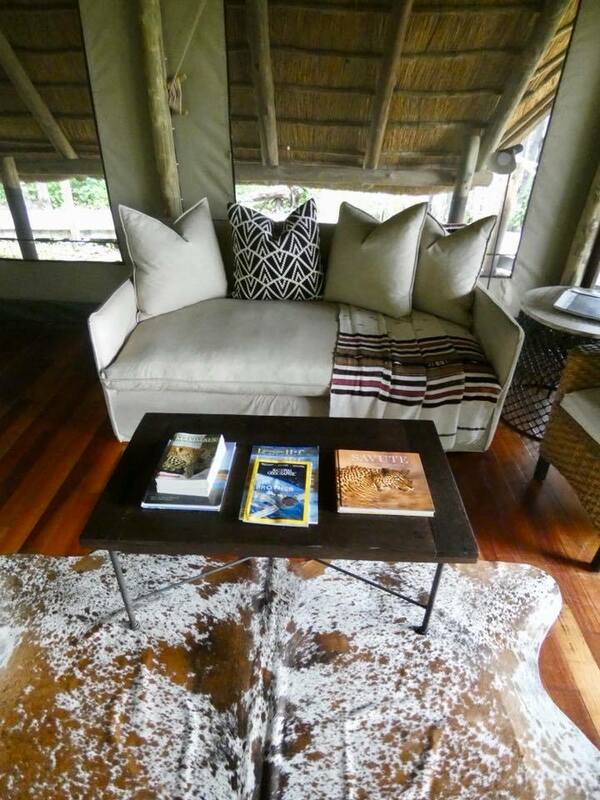 You are very remote here from the civilization, at least an hour flight by a private 6-seater bush plane. 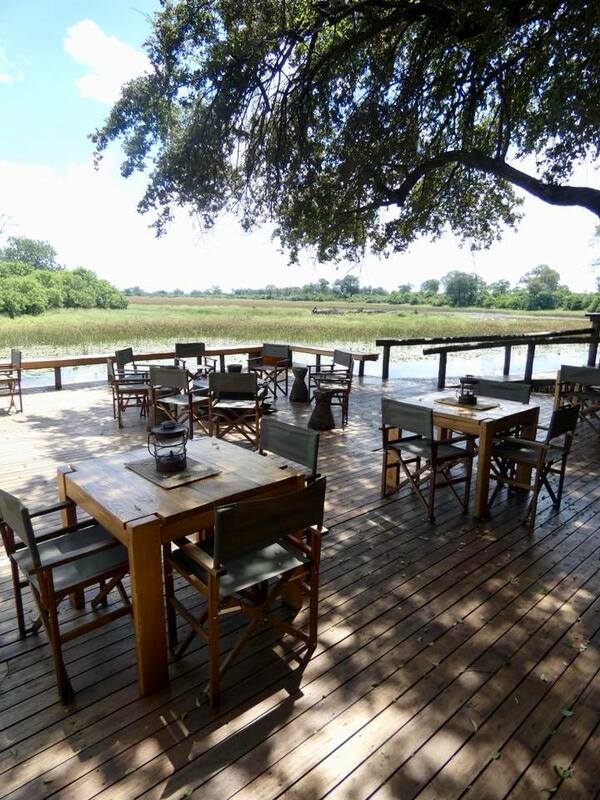 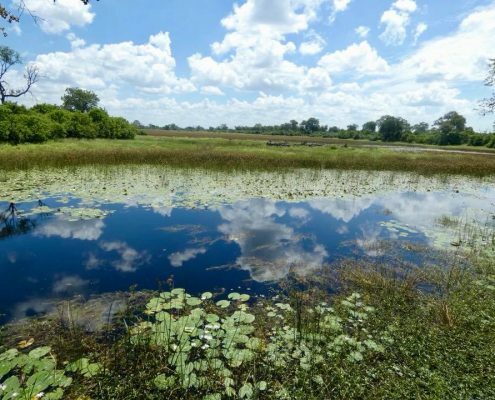 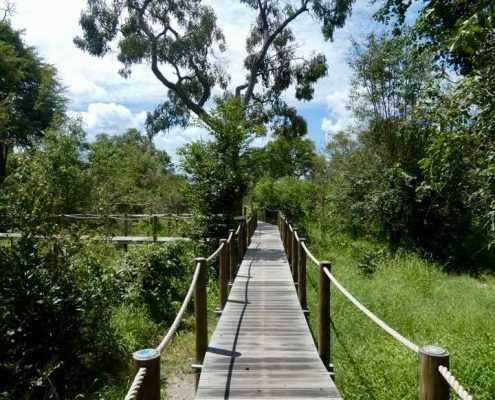 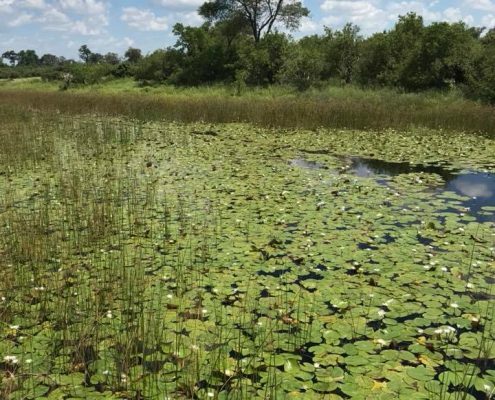 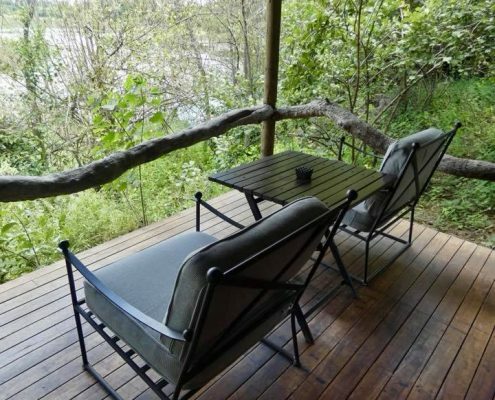 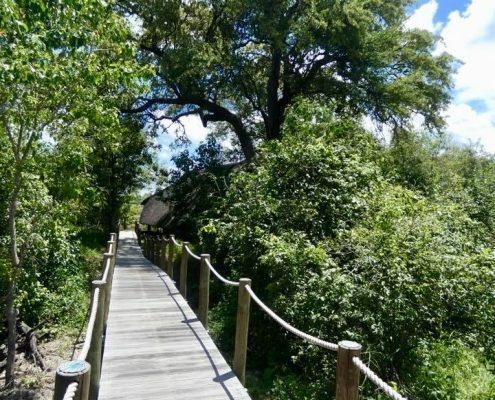 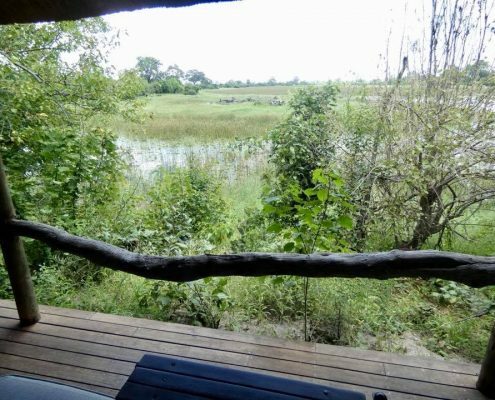 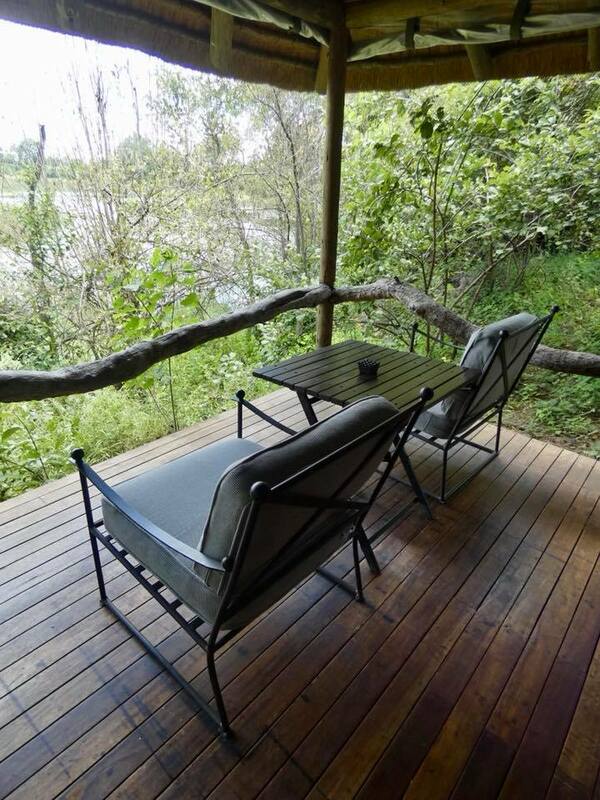 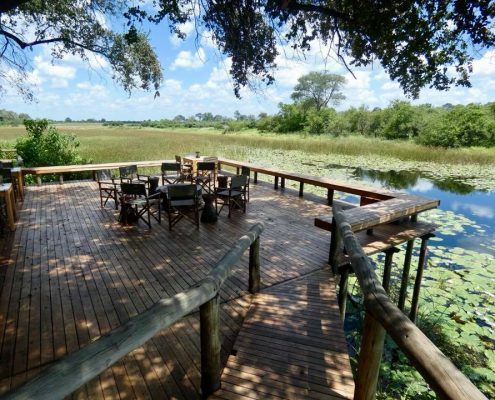 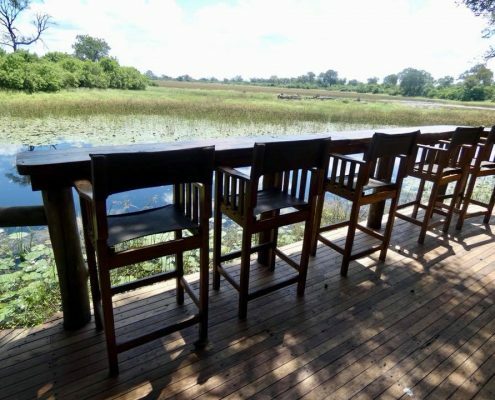 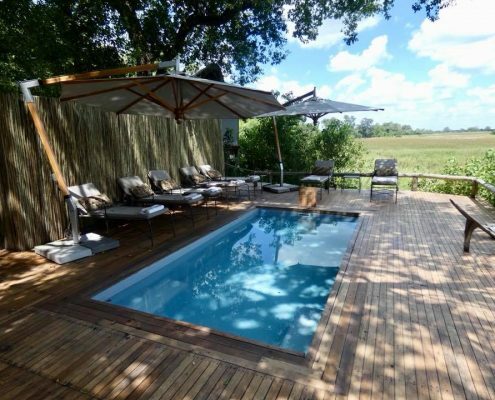 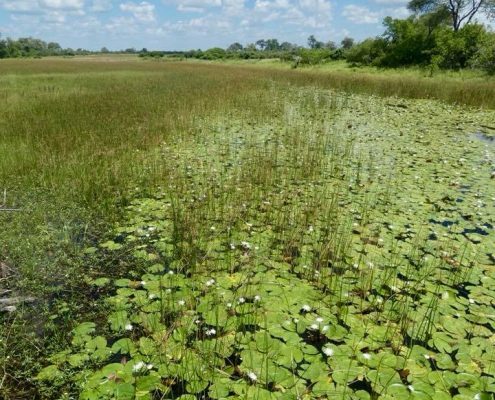 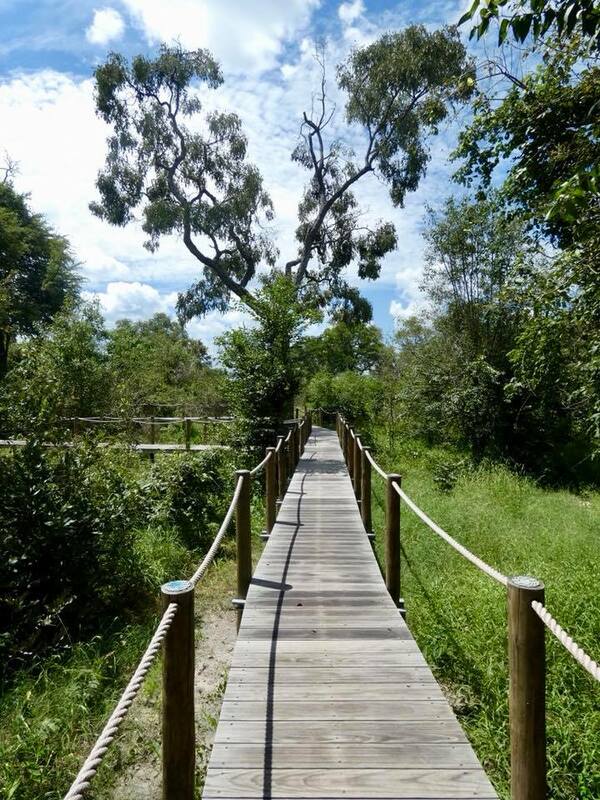 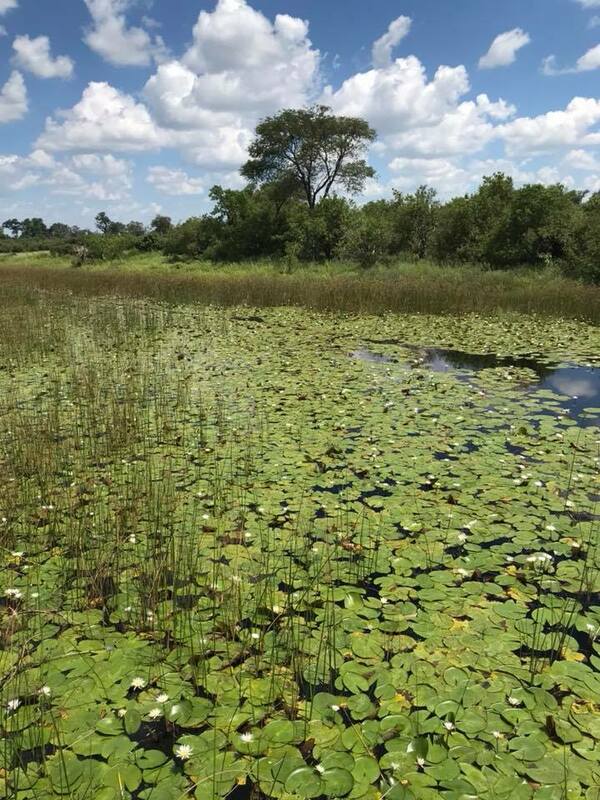 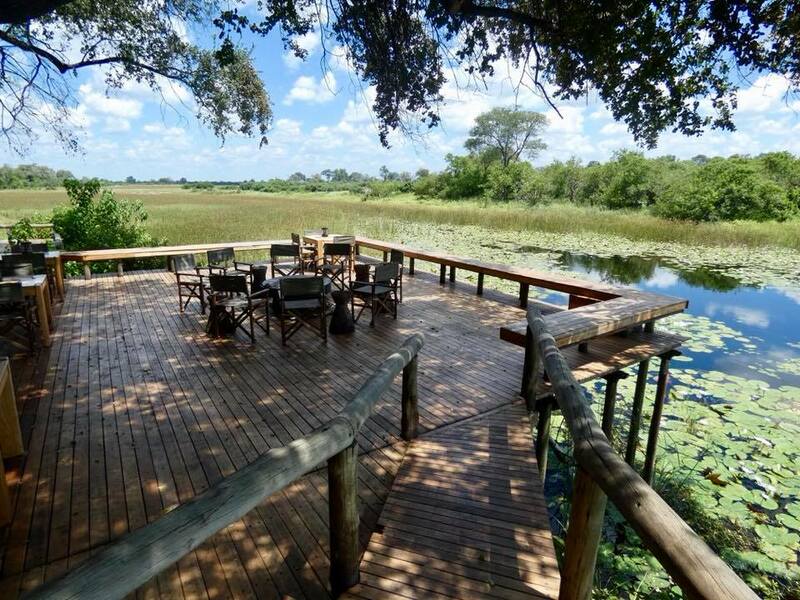 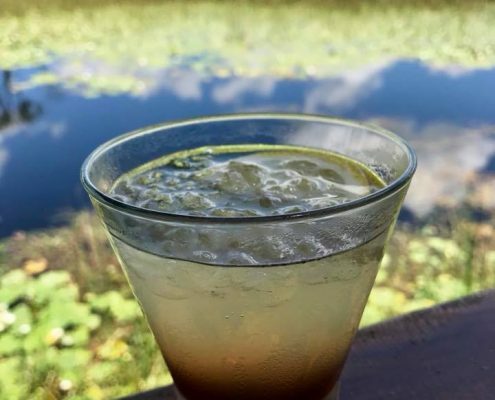 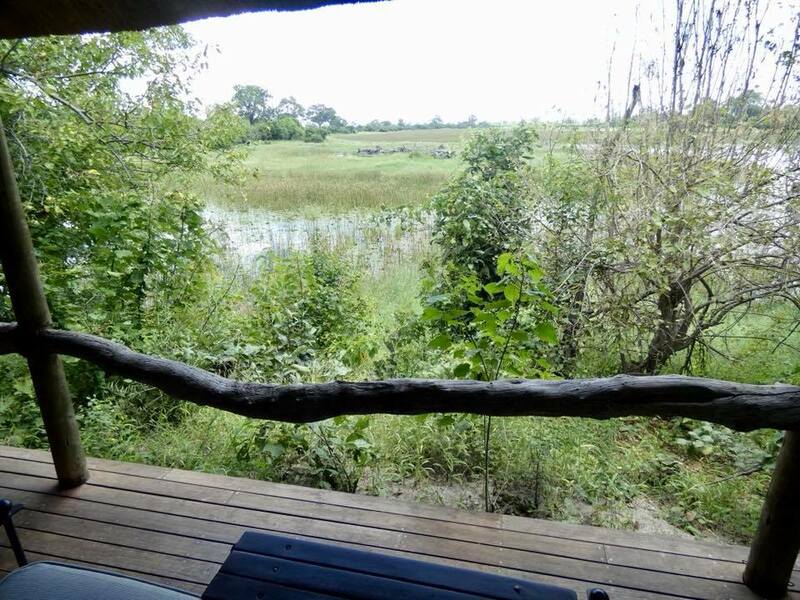 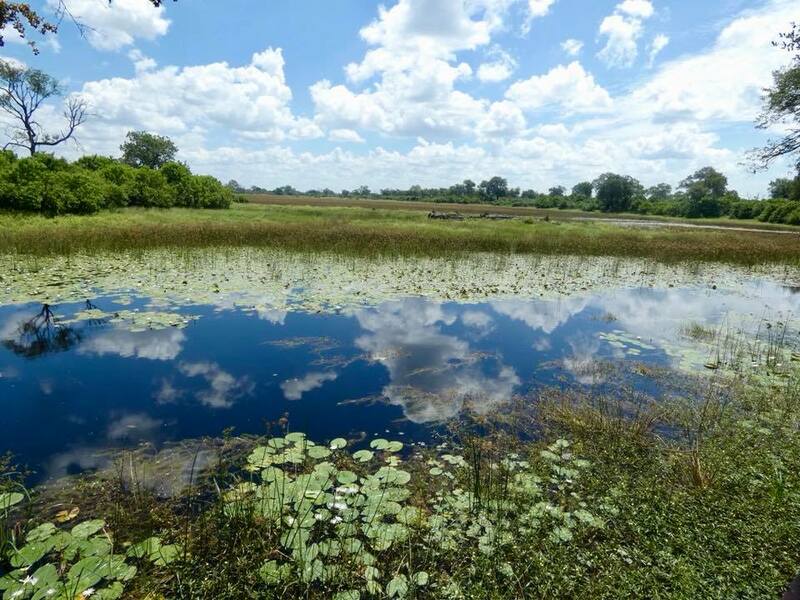 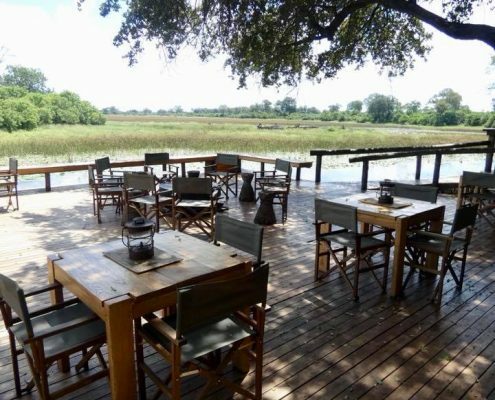 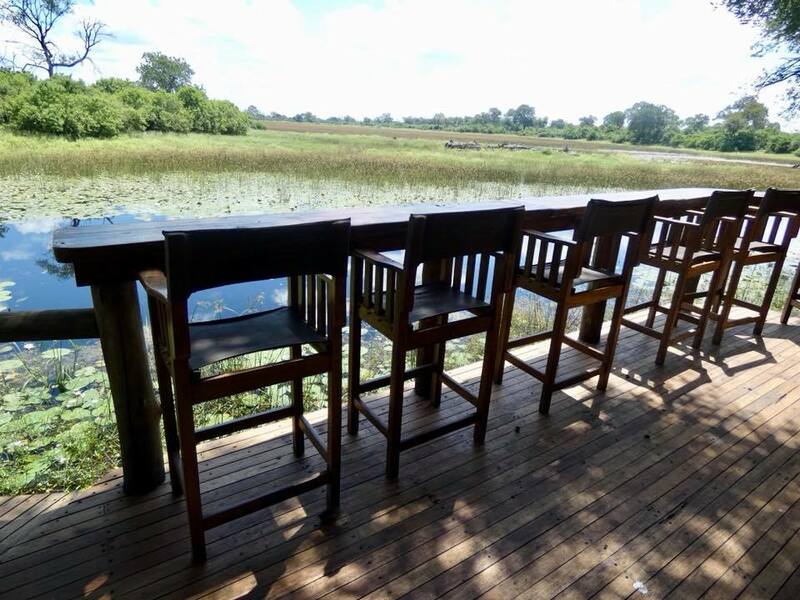 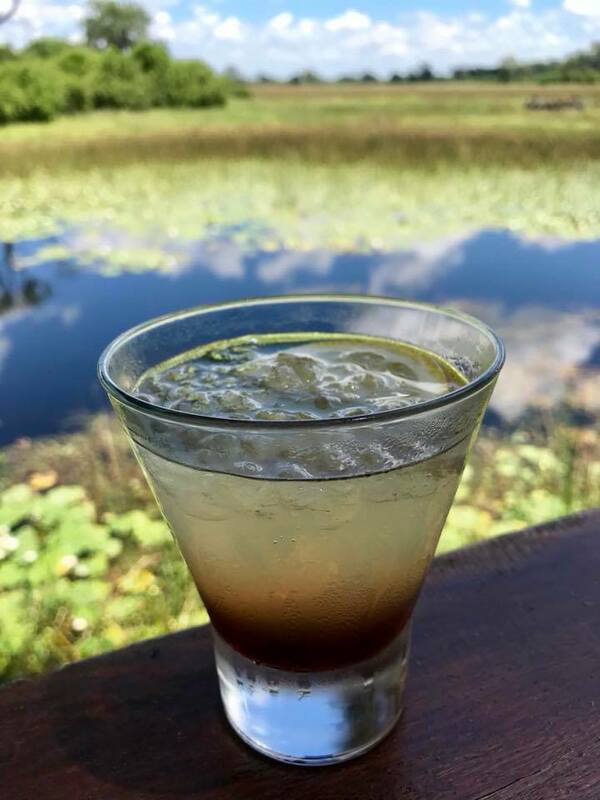 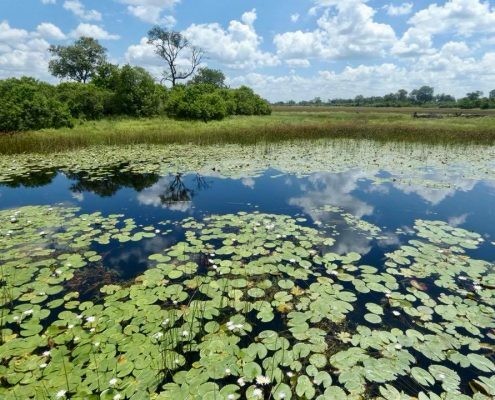 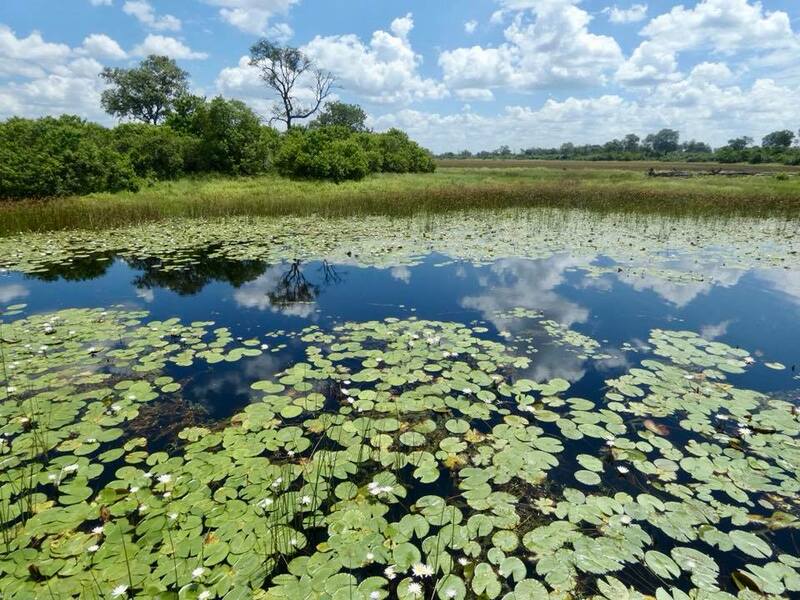 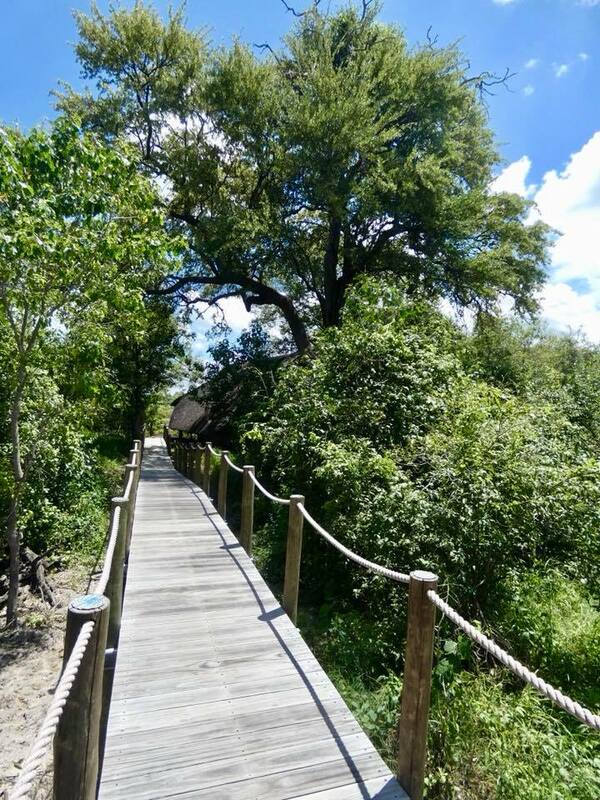 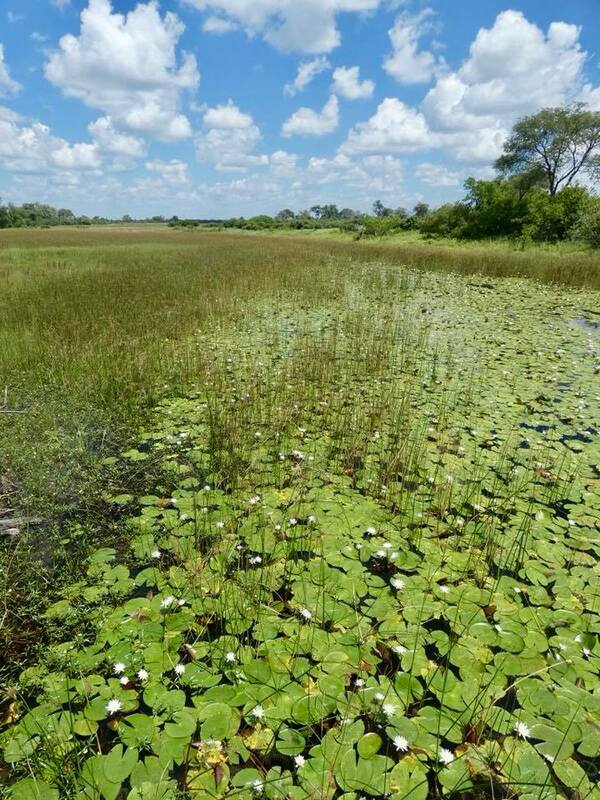 There is no Wi-Fi, but plenty of connection with nature – the Savuti Channel is literally at your doorstep with hippos screaming at night, lions roaring, and birds chirping. 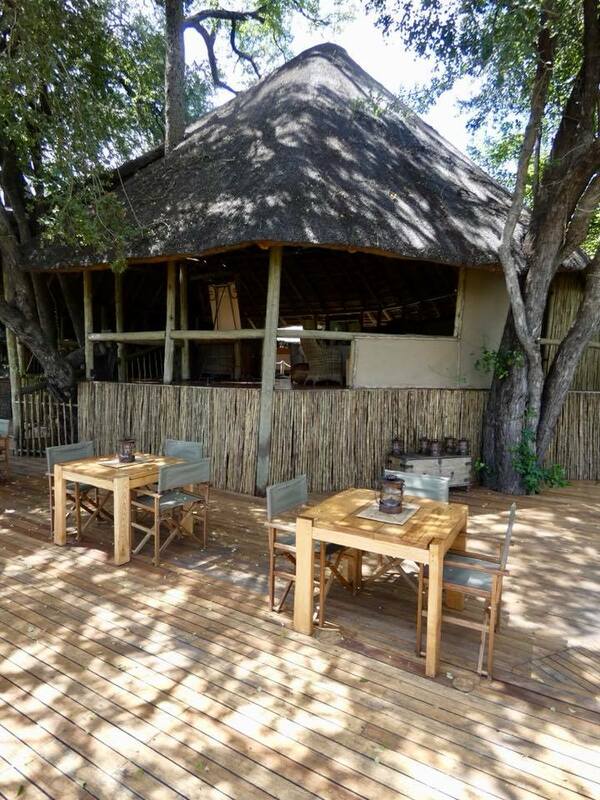 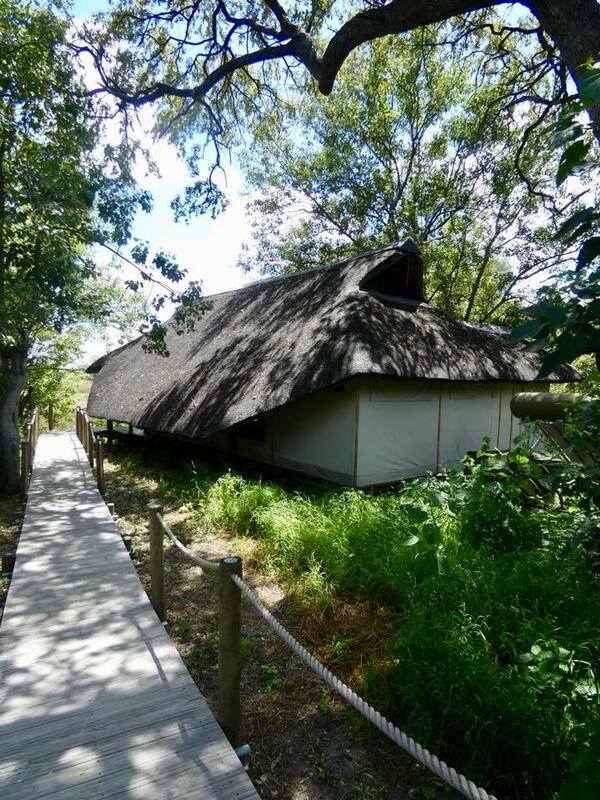 The camp is very small with only half a dozen large luxury tents so you can have this amazing part of Africa all to yourself. 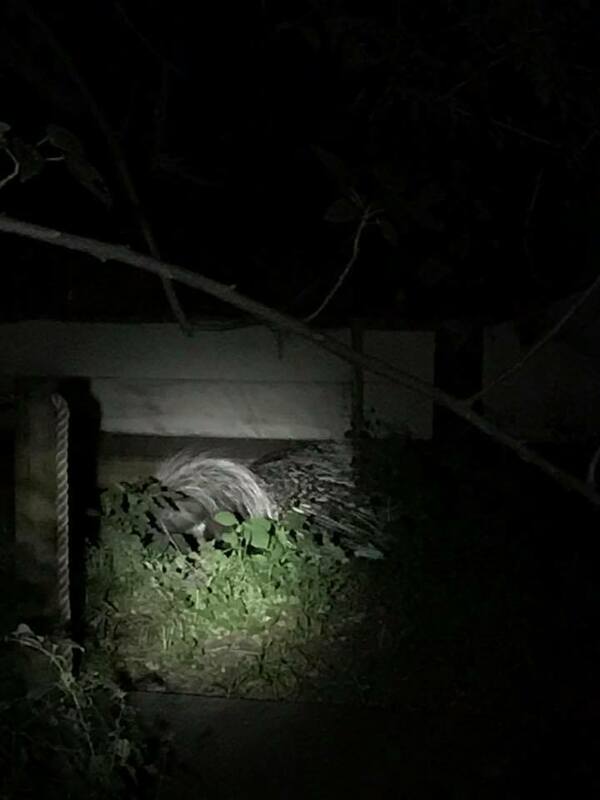 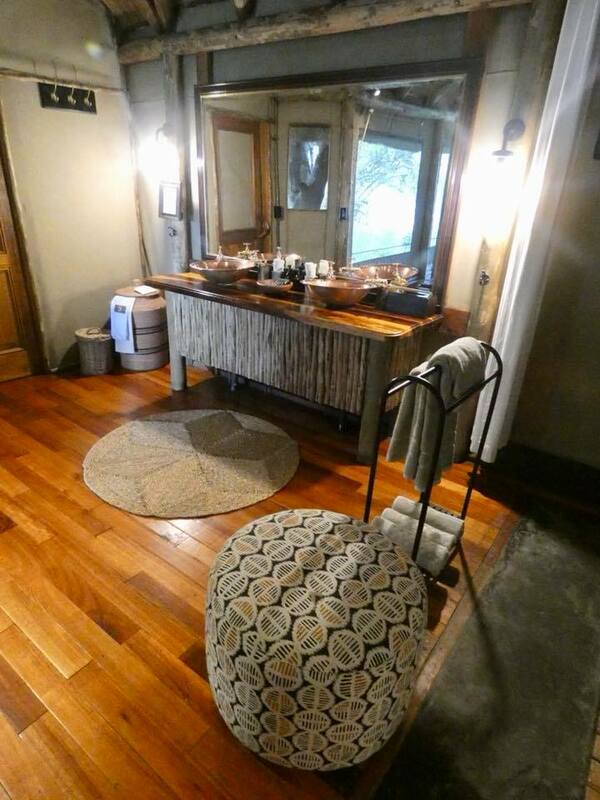 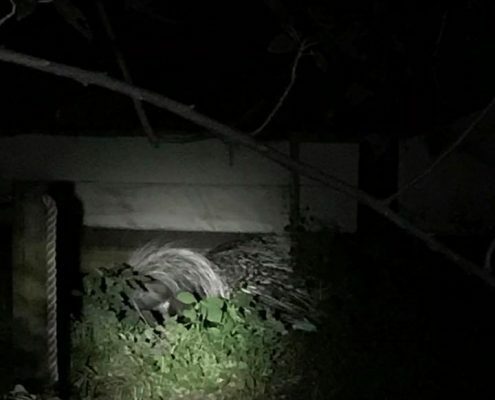 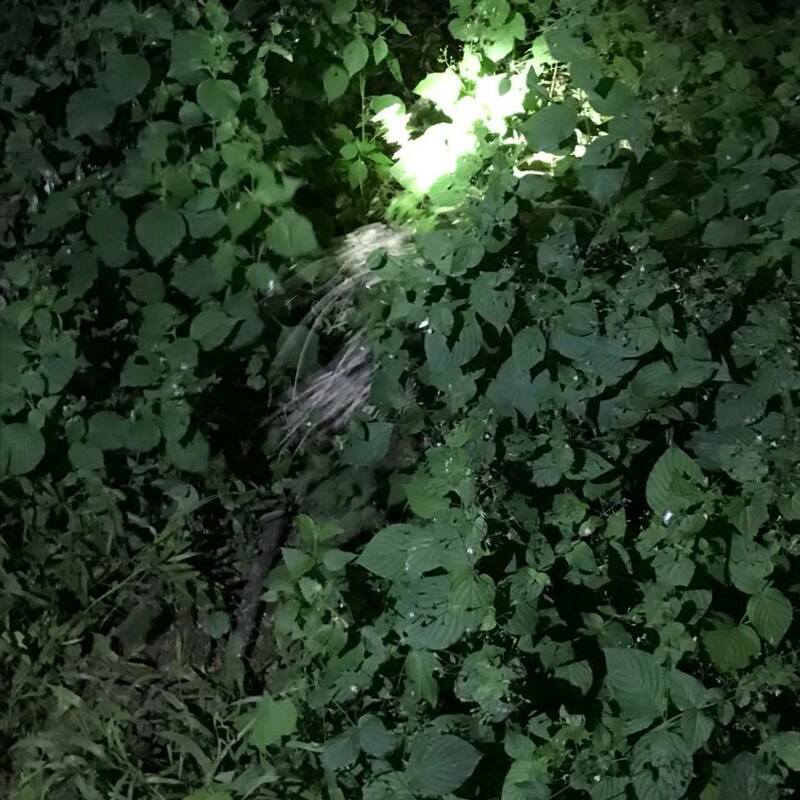 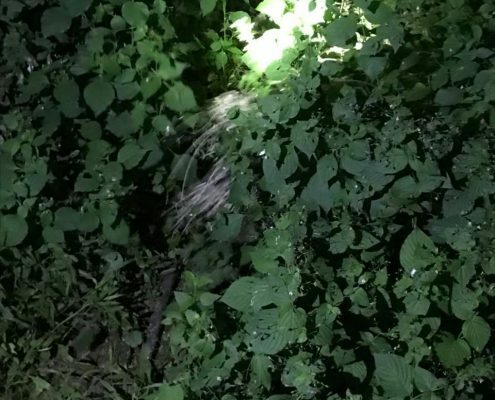 One night, a massive porcupine crawled under the wooden terrace in my unit!